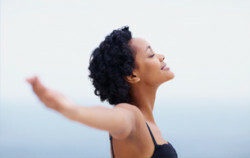 Women’s Wellness Weekend: Celebrate You! You are a woman who is fearfully and wonderfully made by your Creator! God has blessed each of us with our own special gifts, yet many women find it difficult to talk about the characteristics that make them unique. Plan to have fun, relax, learn, and make new connections at this annual Women’s Wellness Retreat. We want to Celebrate You! Feature presentation on Saturday and Sunday morning by Carol deLaski, PCC. Check-in begins at 3pm on Friday and then we’ll all gather together for dinner. After dinner we’ll have a fun, social time of music and laughs. Saturday begins with a feature presentation by Carol deLaski. Then, you will have a choice of three out of nine workshops to attend throughout the day. Workshops will include choices of spiritual, artistic and physical topics such as prayer, crafts and yoga. (You will be emailed a list of choices a few weeks before the retreat.) Saturday evening will be a time of socializing, crafts and a movie with snacks and wine available. On Sunday, Carol will close the weekend with a special presentation and you’ll have time to attend an optional Mass or relax before lunch. Guests will depart after lunch. You won’t want to miss this special annual retreat. Many guests return year after year and we welcome new guests too! Space is filling quickly, so please register soon! Carol deLaski (http://www.caroldelaski.com/) is an author, speaker, and executive coach. In her coaching book, Lost and Found: Discovering Strength in Love and Faith, Carol uses storytelling and reflection questions to expertly guide readers as they seek to understand their own inner strength and resilience. She is the Founder of Wholistic Woman Retreats (http://www.wholisticwomanretreats.com/), a coach-led organization that hosts a variety of original retreats to provide enriching, supportive, and joyful experiences for women to grow personally and professionally. Take advantage of our Earlybird special rate of $230 through 6/23/2019. You will be entering your information for registration and payment next. If you would rather call us, please contact our Welcome Center at 410-442-3120 and they can accept credit card information over the phone. You can also contact them with your information and mail a check to: 1525 Marriottsville Rd., Marriottsville, MD 21104. Please note that your registration is not complete until payment has been made. NOTE: If you would like to only pay a DEPOSIT at this time please click here. If you do not have access to email, please call our Welcome Center at 410-442-3120 to make your registration. Are you purchasing this event for someone else? Please fill out the following for the guest who will be attending. Do you need a handicap accessible shower? Do you need to be close to the elevator? Do you have dietary restrictions? Please fill out the boxes below and our Guest Services Manager will contact you. We will do our best to accommodate your needs. Additional charges may apply. Please complete the required credit card information. If you don’t want to use online payment submission, please indicate your preferred payment method. Our Welcome Center staff will contact you if you choose to provide credit card information over the phone. Please note that your registration is not complete until payment has been made.